I was just wondering if anyone would be interested in a Hand tooled leather check book cover. It seems I cannot stop tooling leather I enjoy it so much. I have all these projects that I have made and no place to go with them. Any way I need money to get more leather so I can make some more projects. I have here a basic checkbook cover that I have made. 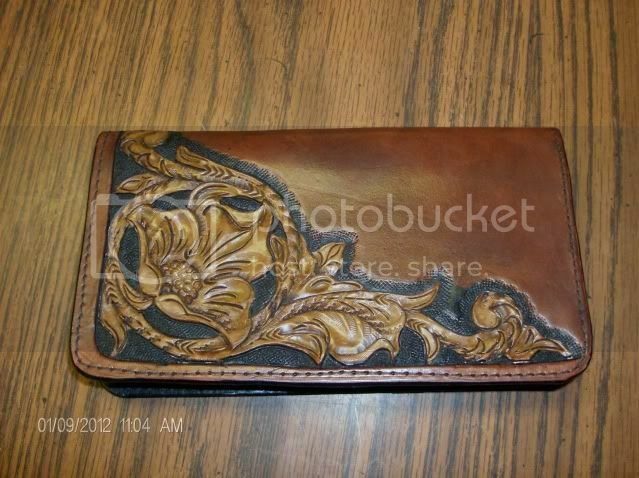 It is made of real hand tooled leather. It is machine stitched around the edges. 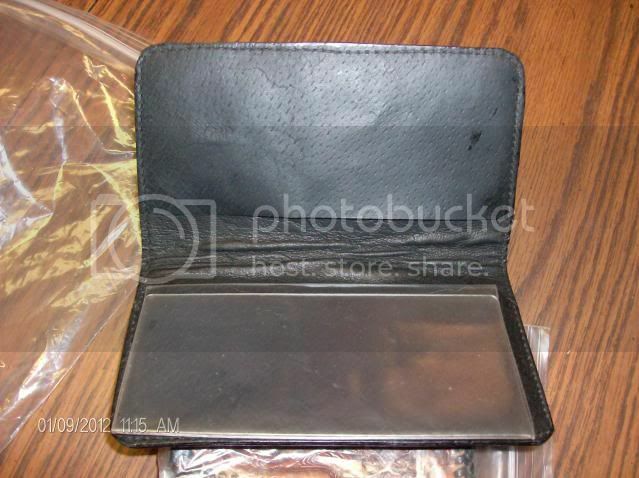 Inside it has just two pockets one for your checks and one for the register or whatever you would want to put in there. It comes with a plastic insert for your carbon checks. I have tooled a classic western floral design on the outside. I have priced this one at $30.00. If you are interested just send me a private message. I have made several of these types of check book covers as well as phone cases, guitar straps, rifle slings, card cases and other things. And everyone seems to like them. They say they last forever. I have a face book page where I have albums of pictures of things that I have made, but I am not sure posting a link to that page is allowed. That is beautiful! I don't write enough checks anymore to even carry a checkbook though. I'd love to see pics of the other projects! Hi Jacob's buddy. Good to hear from you. That Cheque book holder is very well done. Like Paintgal I seldom use cheques anymore as I pay most things with Interac or on-line. I don't think Chuck would mind if you posted a link to your site as you are not competing with the product he sells. Do you by chance make sheaths for a hunting knife? I have an old keepsake knife that I would like to find a good sheath for. Have a Happy New Year and keep in touch.